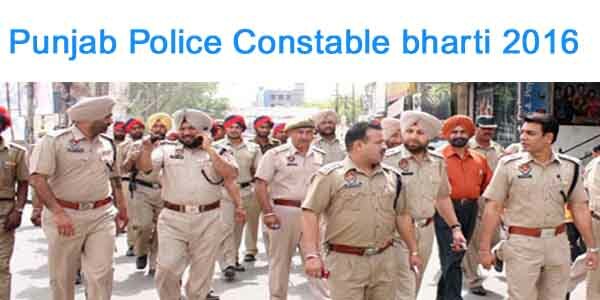 Home » Police Force » Punjab Police Constable Recruitment bharti 2016. 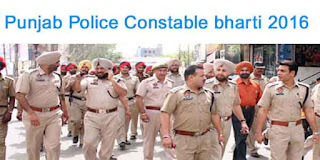 Punjab Police Constable Recruitment bharti 2016. Recruitment of Male and female Constable in District police cadre & Armed Police cadre Punjab. Apply online for 7416 posts. should be 28 years. The cut-off date for this purpose shall be 1stJanuary, 2016 (01.01.2016). No relaxation will be given in age to any candidate. Matriculation examination with Punjabi as one of the compulsory or elective subjects or any other equivalent examination in Punjabi language. How to apply:- A common application form will be available for both the district Police cadre and the Armed Police cadre on the website, www.punjabpolicerecruitment.in from 31.05.2016 to 21.06.2016. Application fees:- Inr 400 for General candidates, Rs. 100 for SC/ST/BC candidates and no fees for ex-serviceman.